The University of Oklahoma fraternity incident should be from a distant bygone era, not 2015. Over the weekend, an anonymous person sent the school's The Oklahoma Daily newspaper a nine-second video of a group of OU Sigma Alpha Epsilon members singing a racist chant as enthusiastically as if it were a pep rally song. In response to the video, the school has permanently shut down the fraternity and two of the students involved have been expelled. Regardless, this kind of seemingly nonchalant incident raises the very serious question: How often does this happen? What's even more disturbing than the Oklahoma episode is that there have been many more like it, proving that racism is still very much prevalent in this country. And yes, we are in the 21st century. The video reportedly shows members of the SAE fraternity, which had just celebrated its Founder's Day, traveling by bus to a formal event on Saturday evening. On the bus ride, the members are shown singing blatantly racist lyrics in a celebratory manner. When the video came to light, university President David Boren immediately shuttered the fraternity and SAE's national organization also severed ties from the OU chapter. It was unbelievable that this could have possibly occurred with UO students. 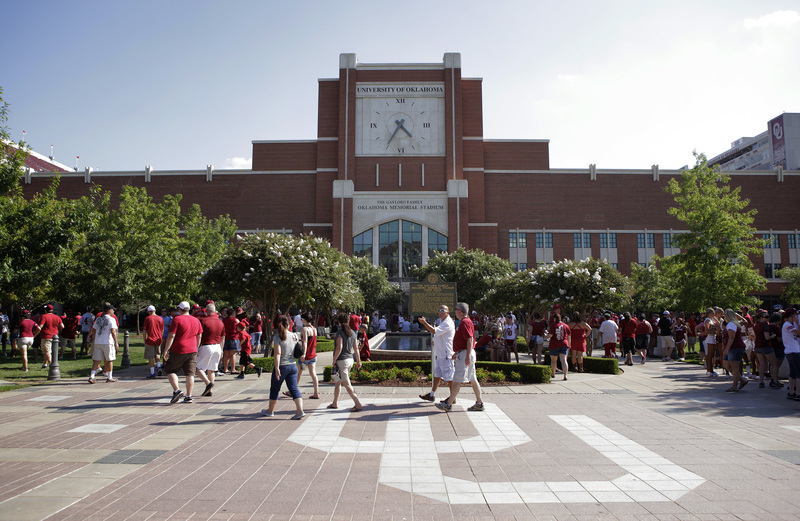 Sooners [the nickname given to the university's students] are not racists. They're not bigots. They are people who respect each other and care about each other. Unfortunately, it took them getting caught on video camera for this to happen, but this is definitely not something that is brand-new. It's not something that's only seen within this one organization. Her words reflect a much more accurate picture of college campuses in the country. In the 21st century alone, there have been numerous incidents involving students engaged in racially offensive behavior, and these were just the reported cases. In October 2001, a photo surfaced showing two Auburn University students, one dressed as a KKK member, performing a mock lynching on a third student who was in blackface. In September 2005, the University of Virginia saw a string of racial incidents, including one student finding a note with a racial slur attached to his car. In September 2007, a noose was found hanging from a tree near a black cultural studies building at the University of Maryland. In February 2010, University of California, San Diego students threw a "Compton Cookout" to mock Black History Month. The party organizers served watermelon and encouraged guests to come dressed as rappers. In August 2011, NYU settled a lawsuit by an African-born employee who claimed that his supervisor regularly called him a "monkey" and "gorilla," proving that racist behavior isn't limited to students at Southern schools. In November 2011, a student at Williams College in found the horrific message "All n*****s must die" written on the wall of a dorm. In March 2012, two black female students were walking past a fraternity at the University of Wisconsin when the brothers started hurling racial slurs at them. One of them threw a bottle at the girls, but neither was hurt. In November 2012, students at the University of Mississippi protested President Obama's reelection — but it wasn't just over politics. The protesting students used racial epithets in their demonstration. In June 2013, a University of Chicago fraternity played a prank on a black mailman by making him deliver 79 boxes to another fraternity. The boxes were addressed to "Reggin Toggaf," two extremely offensive slurs spelled backwards. In August 2013, Georgia State University actually established a White Student Union, "a place for like-minded White students to come together and not only celebrate their common European/Euro-American cultures, but to discuss issues that affect White people in the world today." In January 2014, Arizona State University's Tau Kappa Epsilon fraternity threw an MLK-themed party that mocked African Americans. Guests wore baggy clothing, gang bandanas, and drank out of watermelon cups. In February 2015, someone spray-painted a racial slur on a sign at the entrance of historically black Lincoln University outside of Philadelphia.